Sasha Berliner is a musician, composer, producer, and band leader from San Francisco, CA. Sasha started playing drums at eight years old. She pursued a jazz emphasis at her high school, Oakland School for the Arts, where she picked up the vibraphone at age 13. She is an alumnus of the SF Jazz High School All Stars Orchestra and the Banff International Workshop in Jazz and Creative Music. She headlined festivals like the Atlanta Jazz Festival, NYC Winter Jazz Festival, and the Burlington Discover Jazz Festival, by the age of 19. In that same year, she was deemed one of SF Jazz’s 10 Rising Female Instrumentalists for 2018 and was featured by Hot House Jazz Magazine, The SF Jazz Education Center, NPR, NBC Boston, and The New York Times for both her musicianship and her activism. She was a finalist for the International Hit Like A Girl program in the Concert Percussion category as well as the cover story for Tom Tom Magazine’s Fall 2018 publication. Sasha has gone on to perform at venues such as the Fox Theater, The Jazz Gallery, Treasure Island Music Festival, Davies Symphony Hall, the Jazz Education Network Conference, the SF Jazz Miner Auditorium, and the Next Generation Monterey Jazz Festival. She has had the honor of sharing the stage with musicians such as Ravi Coltrane, indie rock artist Beck, Vince Lateano, Miles Okazaki, Matt Wilson, and Victor Wooten, performing more recently with award winning drummer-composer Tyshawn Sorey’s sextet. She also substitutes for, teaches, and performs with jazz vibraphonist Warren Wolf and routinely headlines her own shows. Sasha is currently living in New York City, attending The New School of Jazz and Contemporary Music. She has been a student of vibraphonists Stefon Harris and Chris Dingman, as well as pianist Vijay Iyer. 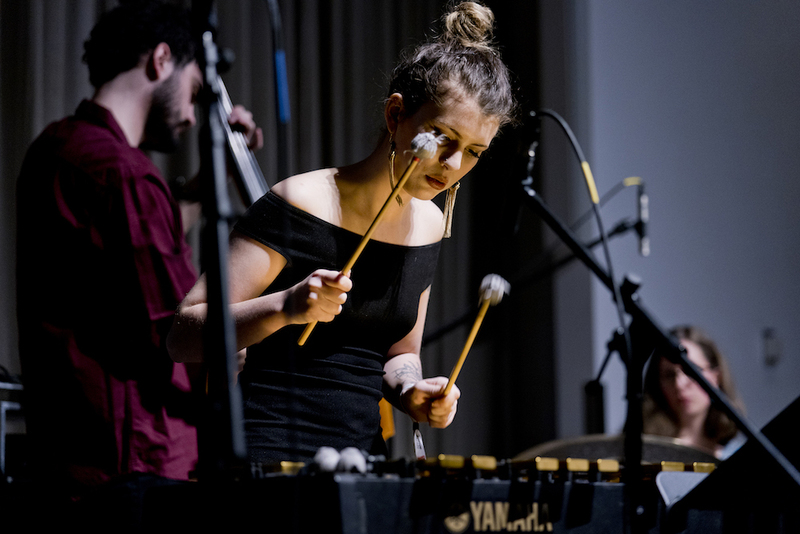 She is an endorsing artist for Blue Haus Mallets and a faculty member at the MalletLab percussion intensive, where she gives masterclasses and clinics. She is also a prolific writer, fulfilling a Non-Fiction writing minor at the Eugene Lang College of Liberal Arts and self-publishing an array of personal essays, poems, and critiques. Her essay on sexism in the jazz industry, “An Open Letter to Ethan Iverson (And the Rest of the Jazz Patriarchy)”, was shared on PBS News Hour and discussed in tandem with the Winter Jazz Fest discussion panel on sexism, featuring activist Angela Davis. Her next major musical project, Azalea, is projected to release in September 2019. "As a versatile drummer and gifted vibraphone player, Sasha wields a technique and musical sense that portends a thrilling career. In her original music, she deserves significant praise." - Seton Hawkins, Hot House Jazz Magazine. "She has already asserted herself as a creative, genre-defying composer and excellent bandleader with a sixth sense of yet-unheard possibilities." 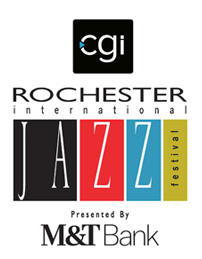 - Burlington Discover Jazz Festival. A "rising jazz luminary." - The Flynn Center for Performing Arts.